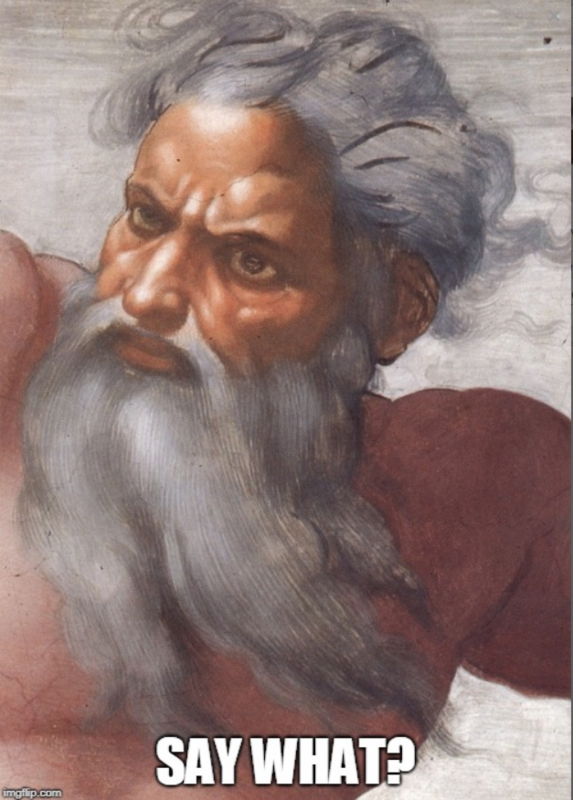 Fallen Churches Tell Clergy to Stop Referring to God as “He” | Have Ye Not Read? Churches in Europe as well as America are now beginning to refer to God solely in “gender neutral” terms. Instead, the ministers were instructed to use the phrase “In the name of God and the Holy Trinity” because it doesn’t imply gender. When Swedish Christians pointed out that throughout the Gospels Christ prayed exclusively to “Abba,” which is to say, to the “Father,” they were told this was done “rhetorically” and is not a reality. Apparently, the other 165 times the word “Father” is specifically used by Jesus Christ to describe God in the four Gospels were also just flowery phraseologies and not meant to be taken seriously. So even the Holy Spirit refers to God as the Father. What the leaders of the Church of Sweden are now doing, in essence, is taking it upon themselves to correct Jesus Christ as well as the Holy Spirit and all of the New Testament writers, as well as the prophets such as Isaiah who were all inspired by the Holy Spirit. In other words, in dictating to their clergy that they must refer to God solely in genderless terms, the church is placing itself above God, and above His Son, and above His Holy Spirit, and above His Word. They think they know how to refer to God better than the Word of God itself does! My question would be, if God has no gender, then why didn’t Christ and all of the New Testament writers just refer to God as “Our Genderless Being, Who art in heaven” rather than as “Our Father, Who art in heaven”? Or why didn’t Christ state “I and the Genderless Being” are one, instead of “I and the Father are one”? Or why didn’t St. Paul say “Yet for us, there is one God, the Genderless Being” instead of “Yet for us there is one God, the Father”? But I beg to differ with them. Indeed, the end result will be quite the opposite of what they claim. In other words, in the new church, anything goes. Whatever you can imagine God to be, He is. Who needs God’s Word to define God, when we can just dream up our God and His characteristics. Our God is so much richer than His Word states, so let your imaginations roam! But that statement is just a foil, an effort to snooker Christians. The Word of God is forever. It is not changing. And it repeatedly refers to God as a man. Our language might change. Our understanding might change. But the Word of God does not change. And the Word of God is what counts. “Clergy delegate The Rev. Linda R. Calkins from St. Bartholomew’s Episcopal Church in Laytonsville, Maryland, challenged the delegates to go further. Beloved, that’s straight out of Luciferian theology, as I explained and documented in my recent news commentary Is God a He-She? Yes, He is like a mother, but not in the sense of physical attributes or gender. He’s like a mother in the sense of providing us with all of the sustenance we need for eternal life. And that sustenance is His Word. And His Word says He’s a male. Period. So what the Episcopalian “Reverend” quoted above actually wants is for us to worship Lucifer, the perverted “he-she” god, in place of God the Father, the Creator of heaven and earth. The use of gender-neutral words to identify God is not unique to the Church of Sweden. There is a similar movement in the US, especially in mainstream seminaries. My comment: Why try to change the Bible at all? I’ve written many times that the “falling away” from the truth (i.e., apostasy) described in II Thessalonians 2:3, is well under way, and that we’re only waiting for the arrival of that “man of sin, the son of perdition” to complete it. In other words, Satan’s arrival to this earth in his role as the false Messiah doesn’t start the apostasy, but instead, completes it. In other words, only Christians can commit apostasy. The rest of the world cannot, for they never believed the truth of the Gospel message in the first place. So it follows that the Greek word apostasia, taken in proper context with the Greek word it’s derived from, essentially means to divorce the truth. By implication, it means to divorce the truth in order to marry a lie. In other words, apostasy, or “falling away” as St. Paul puts it in II Thessalonians 2:3, means to turn away from one thing (which is true) and to cling to another (which is untrue) in its place. It means to abandon the truth in order to cling to a lie. Today, we see the bulk of the Christian church worldwide doing exactly that. Yes, it’s being done to varying degrees, and in varying ways, depending upon the denomination. But virtually all Christian denominations are — and have been for decades now — participating in a slow motion defection from the truth in order to marry the humanist lies and religious traditions being set in place of the truth. The churches are no longer keepers of God’s Word, but instead, re-makers of God’s Word. And they’re remaking it in the perverted image of the world. In other words, if you want to know what God looks like, look in the mirror, because you and He look quite alike. You resemble each other. And if you have gender, then He has gender. And what gender is God? In other words, Biblically-speaking, God is clearly a male, because Jesus, Who is God (John 1:1; John 14:9), was a male. What’s more, because the men He created in Genesis chapter one were created in His image and after His likeness — meaning they look just like Him — then in the material form He has gender as well, because they had gender. It’s true there’s no gender in the spiritual dimension. After all, in that dimension we’re in our “air” or “wind” (i.e., ruach or pneuma) bodies, so there’s no need for gender or even for specific form. Yet it’s nevertheless true that in the material form God and all of His angels are males. They have gender. Indeed, there’s not a single example in the entire Bible of God and His angels being genderless. For example, the Archangel Gabriel’s very name means “great man of God.” And every angel mentioned in the Bible is described as male. For some reason that simple fact is becoming harder and harder for the Christian churches to understand — so hard that the church is now gradually beginning to fall into the occultic and Kabbalastic trap of rendering God completely genderless, as if He’s some amorphous and completely unclassifiable blob floating around in the sky. In other words, they’re apostatizing from God’s Word, which is very clear on the matter that God is a male. Beloved, as one of God’s elect you’re supposed to be a keeper of God’s Word (i.e., to “keep” God’s Word means to preserve it exactly as it’s written). Don’t allow the fallen churches to prevent you from doing your job. When they come up with this “gender neutral” nonsense, be kind to them, but let them know what you think about it. Preserve God’s Word as it’s written. That’s a major part of your job in the final days of this flesh earth age. It’s unfortunately that the churches will inevitably fall. But we’re not to allow God’s Word to fall. We’re to teach it exactly as it’s written, without fear or favor to anyone. And that brings manifold blessings, indeed. Your Father loves you for holding up His Word in this great time of apostasy.